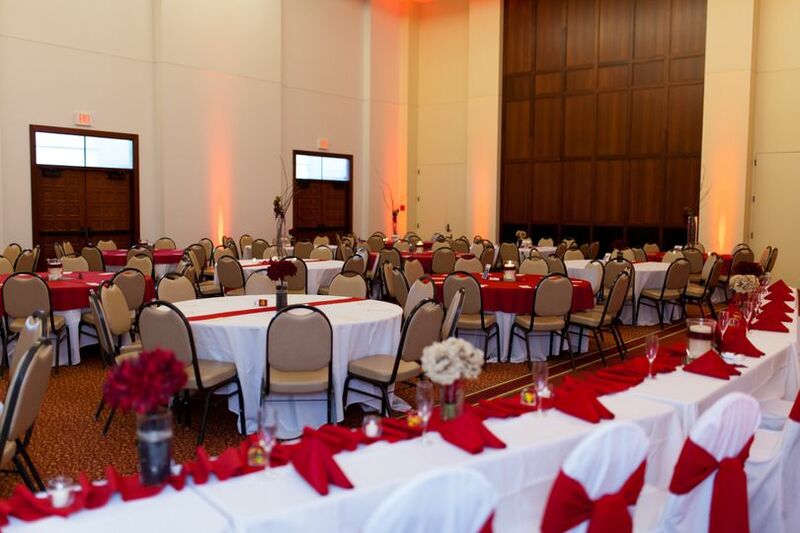 The ISU Alumni Center offers couples an elegant atmosphere in a one-of-a-kind setting with exceptional service. 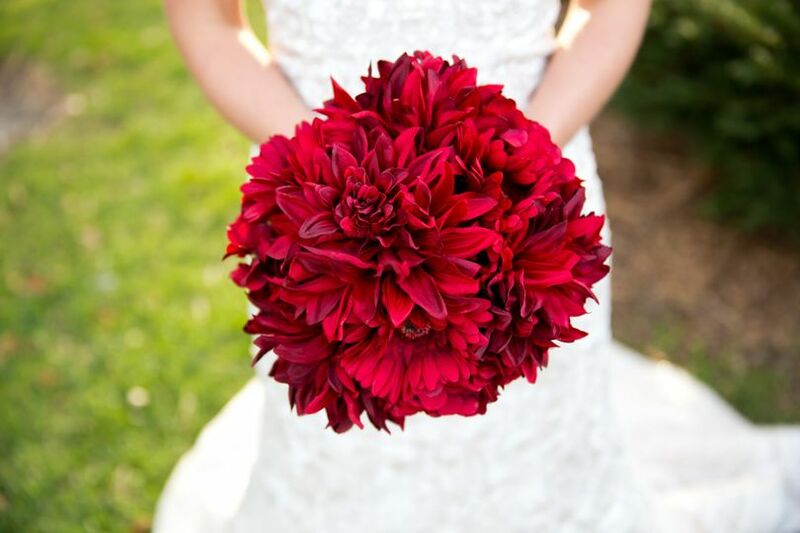 Let our professional wedding coordinators help you with all of the details for your special day. I can honestly say the staff at the Iowa State Alumni Center made our day so amazing and unforgettable! No need to hire a wedding planner with this venue. They have an amazing coordinator named Brooke and interns from the college that are there every step of the way. 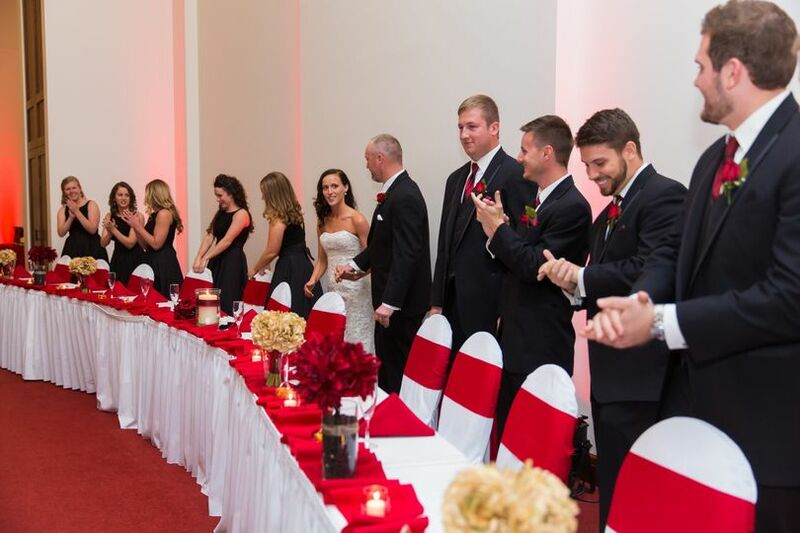 Once I had my "day of" meeting with Brooke, she and the staff made sure that everything was on time and the guests/vendors/wedding party were where they needed to be. I didn't have to worry about a thing and was able to have the most carefree time with my husband and loved ones. 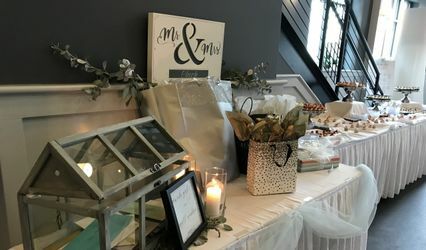 The price is completely worth the money as they did all of my decorating(with my own items) and have their own things they set up as well(lighted backdrop for example). You also can have the ceremony and reception at the center and there's even a rain backup inside, which we used and I was incredibly thankful for it! I could go on and on about this place, but you should really see for yourself! THANK YOU SO MUCH ALUMNI CENTER!!! Is it possible to fall in love with a venue? 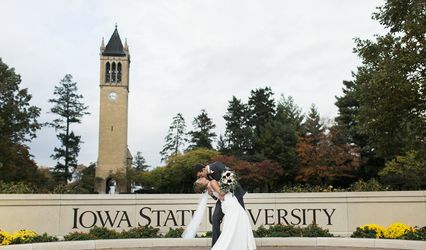 Because after having my wedding at the Alumni Center I absolutely believe it’s possible. 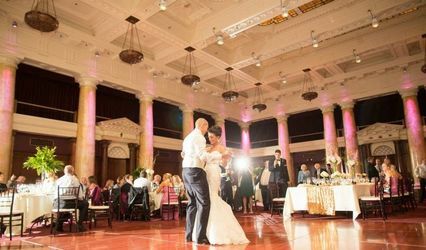 We chose to do a morning ceremony and a brunch reception, so I was looking for a venue that would be able to accommodate a slightly non-traditional wedding. We had both at the Alumni Center. 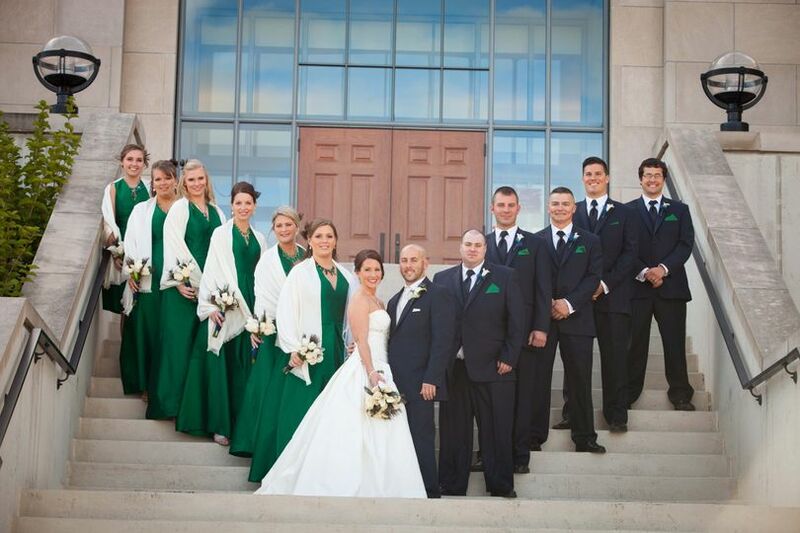 The staff did a FLAWLESS job! Seriously, I had no stress throughout the whole process. Everything ran smoothly from beginning to end. 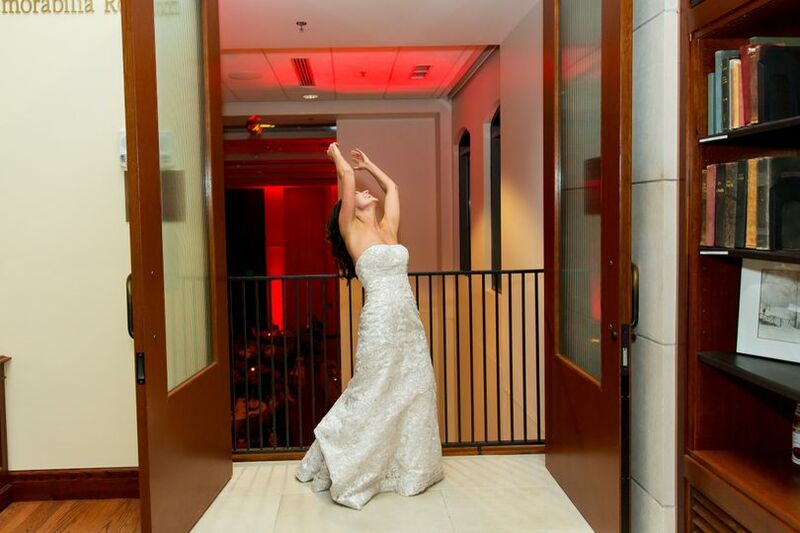 Our event planner Bry was amazing to work with. She was so easy to get ahold of and quick to answer any questions or concerns I had. We had originally planned for an outdoor ceremony, and ended up moving it indoors a few days before due to the weather forecast. That caused no problem at all! 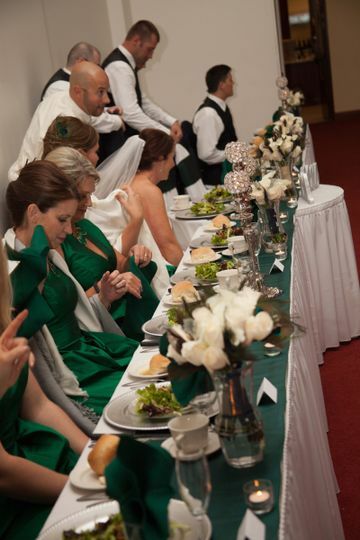 The staff took care of EVERYTHING (coordinated day-of schedule of events with my other vendors, set up the room including decor I dropped off, made sure the bridal party was where they needed to be, assisted my guests with parking, seating, buffet line, etc.) 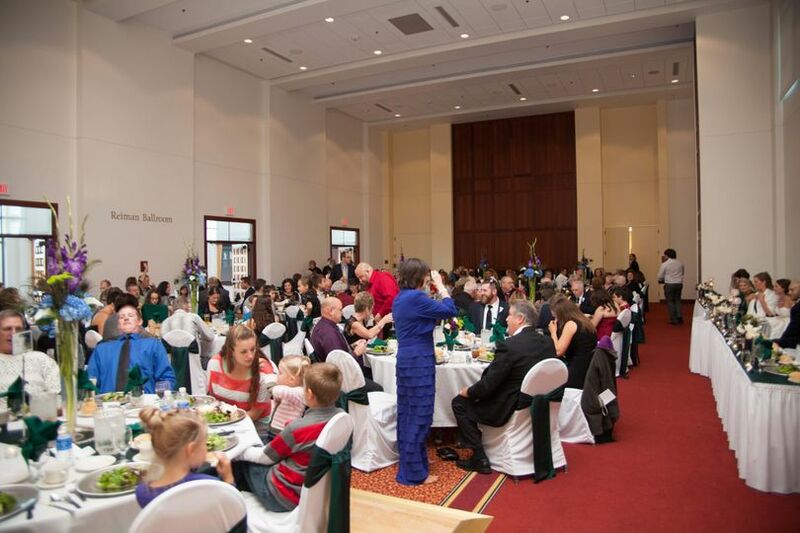 We recieved so many compliments from our guests on the venue as a whole, including flow of events, professionalism of the staff and beauty of the building. I felt like all I had to do was show up and enjoy my wedding! Highly recommend using this venue. 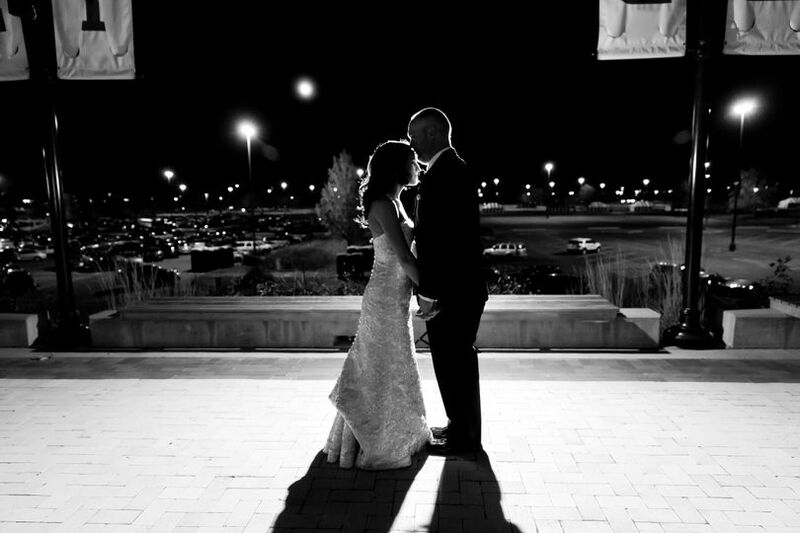 We couldn't have been happier with using the Alumni Center as our reception venue. 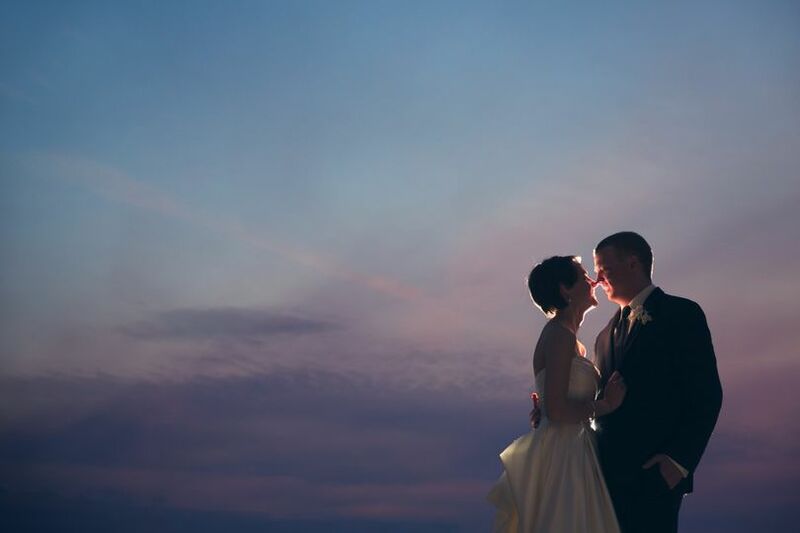 They made planning so easy, and I didn't have to worry about anything the day of the wedding. Awesome staff and great location!